Organic–it’s not just a label on good products–it’s a mission! People in the organic industry are on a passionate mission to make the world a better place. It’s not a profession one enters just for the money–it’s about doing things right. Organic farmers feel good about what they grow, organic product companies feel good about what they produce, and consumers feel good about using these products. A lot of people are aware and concerned about the planet, so buying organic is helping them do something. Besides feeling good emotionally, organic products help people feel good physically because they contain fewer toxic chemicals. That starts in the field with the farmer not having to “suit up” with a full body suit and a gas mask to spray toxic chemicals. Farming can be fun again! Scientific studies prove that children fed organic food have significantly fewer toxic chemicals in their blood. As cancer rates rise, consumers look for ways to decrease their personal toxic loads. The extra cost is absolutely justified, and the buying public votes “organic” with their dollars. Other scientific studies show increased levels of antioxidants in organically-grown foods. Again, this appeals to the health conscious consumers. 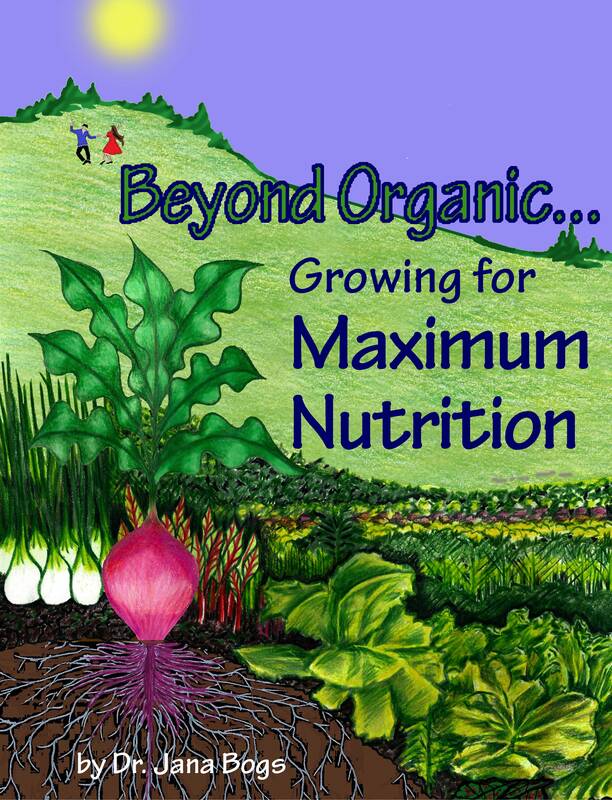 This quest for greater nutrient density is being answered by researchers such as myself who are moving “beyond (just) organic” to nutrient enhancement of food crops. 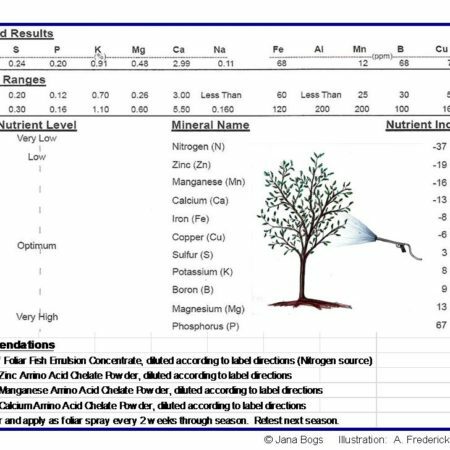 This is accomplished through careful testing of soil and plants, and then supplying the plants with optimal nutrition so they can express their potentials. These nutrient-rich plants, in turn, supply us with outstanding quality food. Nutritionally-enhanced vegetables can have up to 10 times the mineral content of typical produce. 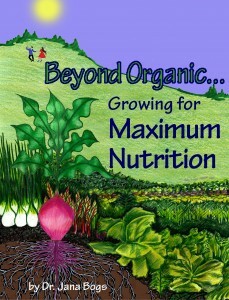 This naturally-enhanced “beyond organic” food is the next big wave in the organic industry! http://beyondorganicresearch.com/wp-content/uploads/2017/06/bor-logo.jpg 0 0 Dr. Jana Bogs http://beyondorganicresearch.com/wp-content/uploads/2017/06/bor-logo.jpg Dr. Jana Bogs2011-05-24 01:38:342014-09-26 19:34:14Organic--it's not just a label on good products--it's a mission! In 2009, total US organic sales for food and non-food products were $26.6 billion and growing. With mass market retailers increasing their offerings of organics, where might the industry be headed? The US organic products industry has seen strong growth over the years and should expect to see continued growth, says Peter Leighton, an expert and recognized leader in the areas of consumer products, nutraceuticals, and human nutrition. “In spite of weak economic conditions, the category remains vibrant,” he explains. “There are a host of drivers that fuel this growth, but the critical component is the acceleration of scale. As demand increases for organic products, more organic inputs are allocated, thereby reducing the endpoint costs for consumers.” This, in turn, fuels greater growth. Environmental issues are increasingly playing a strong role in that growth, notes Leighton. “More data is demonstrating the value of sustainable agricultural practices and the health and environmental benefits of natural pesticides,” he says. 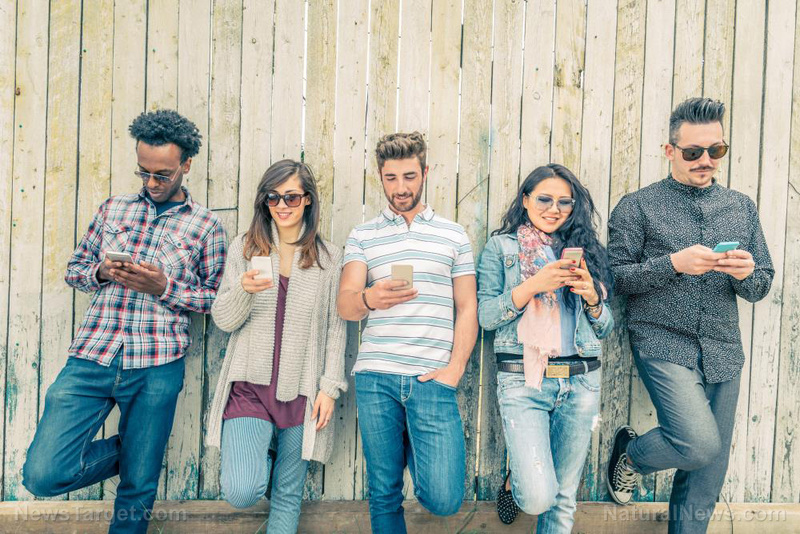 While to date one of the greatest consumer triggers for organic products has been the health halo of the products, increasingly the industry will see environmental and ecological triggers driving consumer action, as these have a much more significant point of differentiation. One of the challenges that Carlos-AgNet sees for the organics industry is the certification process. “Basic standards for organic certification receive a wide interpretation within the national standard and between countries, which inhibits trade in international products, such as food and textiles,” he says. New product areas in the organics industry bring with them a new generation of standards that are difficult for producers to sort out. Instead, cosmetic and food manufacturers are choosing voluntary or non-organic standards, such as natural, to avoid having to go through the national organic standards. “The US market is decades behind Europe in organics and agriculture transformation,” says Carlos-AgNet. “A real threat to US producers could be the replacement of US producers of agricultural products with those from more advanced agricultural economies.” He states that this shift may not affect the US organic retail market. Dr. Jana Bogs is looking beyond organics to the next step the industry might take to increase nutrition in organic fruits and vegetables and natural ingredients. 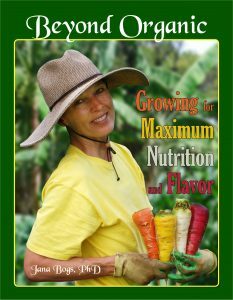 Bogs is an expert in food science, horticulture, nutrition, and agriculture. “Several scientific studies have shown significant decreases in nutrient density in fruits and vegetables over the past half century,” Bogs says. “There is a lot more research to be done, but we currently have enough knowledge to produce significantly higher quality produce at the current time. Some producers understand how to grow beyond-organic foods, but they need a better marketing system.” She adds that food and nutrition supplement companies who are looking to capture a larger percentage of the market would do well to look into these optimally-grown foods. 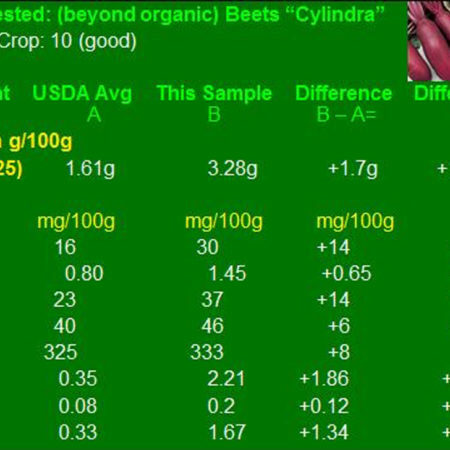 http://beyondorganicresearch.com/wp-content/uploads/2017/06/bor-logo.jpg 0 0 Dr. Jana Bogs http://beyondorganicresearch.com/wp-content/uploads/2017/06/bor-logo.jpg Dr. Jana Bogs2011-05-23 23:16:402014-09-26 19:35:14Article on "What's Next for the Organic Industry"